The OPEC Reference Basket (ORB) eased by 1.2% month-on-month (m-o-m) in June to average $73.22/b. The ORB ended 1H18 higher at $68.43/b, up more than 36% since the start of the year. Similarly, Dated Brent, WTI and Dubai all decreased by 3.5%, 3.1% and 0.8%, respectively. Crude oil futures prices mostly fell on expectations that OPEC and participating non-OPEC producers in the ‘Declaration of Cooperation’ will gradually increase production to full conformity levels. ICE Brent averaged $1.07 (1.4%) lower at $75.94/b in June m-o-m, while NYMEX WTI lost $2.66 (3.8%) to average $67.32/b. Similarly, DME Oman decreased by 97¢ (1.36%) to stand at $73.63/b. The Brent/WTI spread widened further to $8.62/b in June m-o-m. Year-todate, ICE Brent is 35.1% higher at $71.16/b, while NYMEX WTI has risen 31.1% to $65.46/b, compared to the same period a year earlier. The speculative net long positions ended June higher, particularly NYMEX WTI, with the long to short ratio increasing sharply to 21:1 from 7:1. All three markets have returned to a strong backwardation, with that of WTI improving significantly on tighter supplies at Cushing, Oklahoma. The sweet/sour differentials narrowed considerably in Europe and Asia, while in the US Gulf Coast (USGC) the spread widened slightly. The global GDP growth forecast remains at 3.8% for 2018, followed by expected growth of 3.6% in 2019. US economic growth in 2018 is forecast to benefit further from the current momentum. It was revised up by 0.1% reaching 2.8%, followed by anticipated growth of 2.4% in 2019. Growth in Japan remains at 1.2% in 2018, and the same level is forecast for 2019. The Euro-zone’s growth forecast remains at 2.2% for 2018, and is estimated to decelerate to 2.0% in 2019. Both India’s and China’s 2018 forecasts are unchanged at 7.3% and 6.5%, respectively. China is forecast to slow to 6.2% in 2019, while India’s growth is expected to increase slightly to 7.4%. Growth in Brazil was revised down by 0.2% reaching 1.7% in 2018, but a mild rebound to 2.1% is anticipated in 2019. Russia’s GDP growth forecast remains unchanged at 1.8% in 2018, and the same level of growth is anticipated for 2019. In 2018, oil demand is expected to grow by 1.65 mb/d, unchanged from the previous month’s assessment, with expectations for total world consumption at 98.85 mb/d. In 2019, the initial projection indicates a global increase of around 1.45 mb/d, with annual average global consumption anticipated to surpass the 100 mb/d threshold. The OECD is once again expected to remain in positive territory, registering a rise of 0.27 mb/d with the bulk of gains originating in OECD America. The non-OECD region is anticipated to lead oil demand growth in 2019 with initial projections indicating an increase of around 1.18 mb/d, most of which is attributed to China and India. Additionally, a steady acceleration in oil demand growth is projected in Latin America and the Middle East. Non-OPEC oil supply (now excluding the Republic of the Congo) in 2018 was revised up from the previous MOMR by 0.14 mb/d to average 59.54 mb/d. This represents an increase of 2.0 mb/d year-on-year. Non-OPEC oil supply in 2019 is projected to expand by 2.1 mb/d, to average 61.64 mb/d. The main growth drivers are expected to be the US, followed by Brazil, Canada, Australia, Kazakhstan and the UK, while Mexico, China and Norway are expected to witness the main declines. OPEC NGLs production in 2018 and 2019 is expected to grow by 0.12 mb/d and 0.11 mb/d to average 6.35 mb/d and 6.46 mb/d, respectively. In June, OPEC-15 production, including its newest Member Country, the Republic of the Congo, increased by 173 tb/d to average 32.33 mb/d, according to secondary sources. Recent higher crude prices impacted negatively on product markets in June, keeping margins and gasoline demand in all main trading hubs suppressed. In the US, product markets showed substantial counterseasonal losses, where pressure emerged from across the barrel, with the exception of fuel oil. In Europe, product markets lost some ground as pressure from poor performance at the top of the barrel, outweighed gains witnessed at the bottom of the barrel. The latter was attributed to an arbitrage opening for diesel deliveries to Asia and continued seasonal pick-up in fuel oil demand. Product markets in Asia exhibited losses with pressure on all main products except fuel oil. The strong gasoline market surplus, coupled with slower gasoline demand from the Middle East and high product output, heavily pressured product markets. In June, the crude oil tanker market sentiment strengthened slightly, as average dirty tanker spot freight rates increased on most reported routes, although the gains were mostly minor. On average, spot freight rates for VLCC and Suezmax rose in June, while Aframax rates were flat. 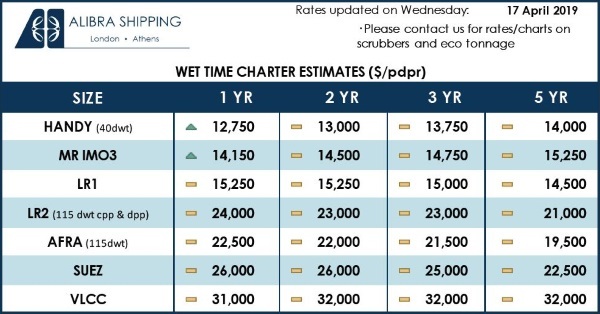 Despite a high number of fixtures seen in the VLCC market, average dirty spot freight rate gains were limited, as the gains, registered mostly in the East, were offset by the high spot vessel availability. Suezmax and Aframax freight rates benefited from the firm market in the Caribbean, but a decline in loading requirements in the Mediterranean led to a dampening in average rates there. 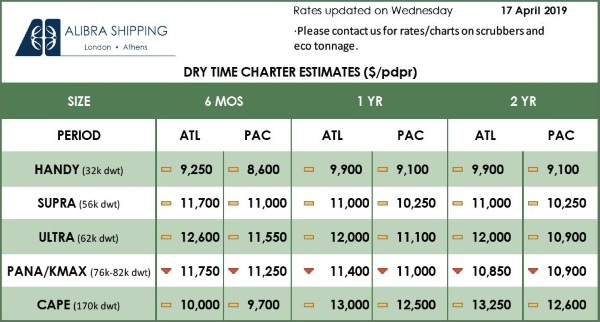 Clean tanker spot freight rates evolved negatively in June as medium range (MR) tanker freight rates declined on all routes bar one, with the only exception being Middle East-to-East fixtures. Preliminary data for May showed that total OECD commercial oil stocks rose by 8.6 mb, m-o-m, to stand at 2,823 mb. This was 236 mb lower than the same time one year ago, and 40 mb below the latest five-year average. However, stocks remain 253 mb above the January 2014 level. In terms of days of forward cover, OECD commercial stocks fell in May to stand at 58.8 days, which is 2.4 days lower than the latest five-year average. In 2018, demand for OPEC-15 crude is estimated at 32.9 mb/d, around 0.5 mb/d lower than the 2017 level. In 2019, demand for OPEC-15 crude is forecast at 32.2 mb/d, around 0.8 mb/d lower than the 2018 level.